Jeffrey Nemetz is the Founder and Managing Partner of Health Brand Group (HBG), a brand consultancy and strategic communications firm focused exclusively on health. 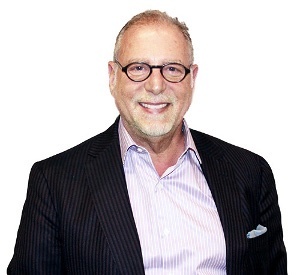 On behalf of his international client base, Jeffrey has facilitated strategic vision, branding, communications and business growth initiatives for Fortune 500 companies, as well as privately held and start-up ventures. He is recognized as a thought leader in health strategy and branding, and devotes his time to partnering with executives — building strategic alliances and creating new conversations around health and wellbeing, and their impact on corporations, employees and the world. Jeffrey is a serial entrepreneur, leading brand innovation initiatives and investing in and leading new models of business. His expertise includes healthcare services, manufacturing, food service, specialty retail and technology. In his early career, he managed marketing initiatives for McDonald’s and Sunbeam Corporation’s various divisions. Later, Jeffrey founded Shane Oral Health Pharmaceuticals and MedPro Software, an interactive medical multi-media company that, under his guidance, was awarded the opportunity to develop the first medical encyclopedia CD-Rom for World Book International. Upon the formation of HBG, Jeffrey turned his vision and understanding of healthcare to the evolution of new models of health. He has continued to pioneer both strategic and brand positioning work for hospital systems, pharmaceutical and device companies, medical clinics, associations, health and wellness products and services, and health technology. Through this work he has developed relationships with stakeholders across the industry, including physicians, R+D specialists, marketing executives, C-suite leaders, payors, consumers and donors. Jeffrey is an innovator, always painting a vision for the future that is slightly ahead of its time. He continues to be at the forefront of cultivating new ideas and brand innovations, supporting his clients to invent, revitalize and create brands that have meaning in the new health paradigm. Jeffrey also brings his perspective on the role of brand and the evolving business model of healthcare to audiences around the country. He has been interviewed and published by both local and national publications on branding, and has lectured extensively on the importance of marrying vision, strategy and brand to protect the equity and enhance the growth of every business. Jeffrey also makes himself available for a myriad of strategic engagements, including vision retreats, branding workshops, annual meetings and keynote presentations for organizations of every shape and size within the health sector. Jeffrey is a trusted advisor to CEOs, boards and their senior leadership teams in both branding and communications. In addition to his leadership at HBG, he is an active member of several professional health and business organizations, including the American Medical Association Foundation, Health at Work, the Ember Foundation and the Yellowbrick Foundation. He also contributes his strategic skills and leadership experience to client, community, academic and charitable boards and foundations. Jeffrey is a graduate of the University of Illinois at Champaign-Urbana, where he earned Bachelor’s and Master’s degrees in Marketing and Business Management.